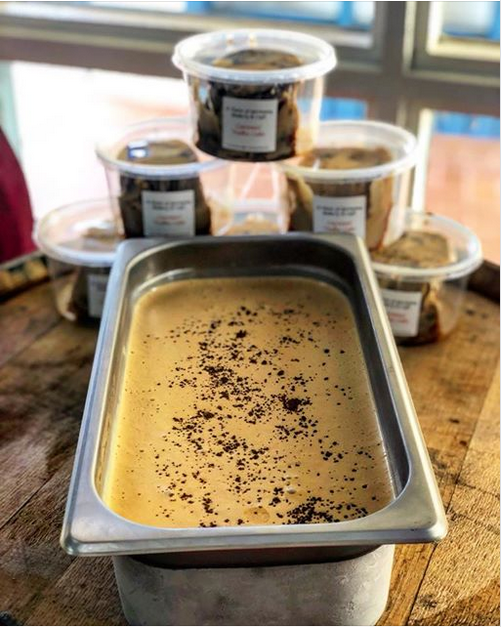 The Siesta Key elves at A Taste of Germany have been quietly branding themselves as the go-to bakery for some of the best selections of liquor cakes. Owner and baker, Tanja Hofmann opened the establishment in 2011 along with her family, and is the genius behind this business model. To date, she has come up with 35 different varieties and continues to build her brand with unique selections for the diverse visitors and locals to the island. The impetus behind her ever growing liquor cake business was her surroundings. On their website she shares the following, “The atmosphere around me was mostly bars, so I tried something to draw attention to everyone who loves to drink and eat.” With half a bottle of pure liquor in each cake, there is no doubt what type of cake you’re eating, or perhaps drinking. 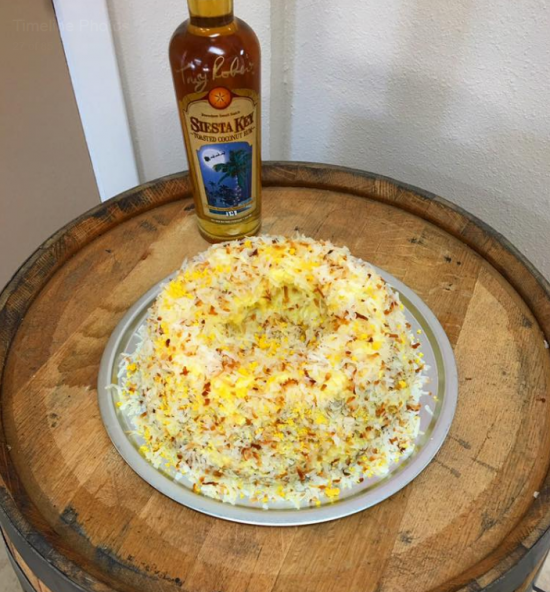 She began adding rum cakes to her already successful menu using the Siesta Key Rum brand and testing it in her bakery, located in the Siesta Key Village at the time. She has since outgrown that location and moved to a larger place mid-island in the South Bridge Mall. The success of the rum cakes and her new digs encouraged her to branch out and incorporate other liquors and come up with new ideas. Son, Robin Hofmann and his wife are successful entrepreneurs in their own right, running a booth during season at the Renaissance Fair circuit throughout Florida with containers of these liquor filled creations, while husband, Manuel mans a booth at the Sarasota Farmer’s Market each Saturday, making it a true family-run business. Her newest brain-child? How about liquor gelato? Tanja’s perfected six different flavors of liquor gelato so far and continuous to add more. Can you imagine being the elf responsible for taste-testing each batch? With flavors like mango with mango pineapple vodka, brandy Oreo cookie, caramel vodka, chocolate rum, Siesta Key coconut rum, and raspberry vodka, you definitely need to make room for some of her latest offerings. 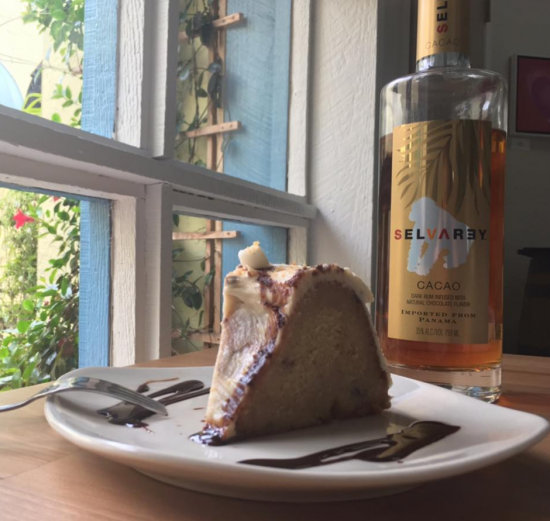 And, for a double-vision treat, you can order a slice of your favorite liquor cake with a scoop of liquor gelato. Can it get any better than that? They also offer non-alcoholic ice cream and gelato as well as other assorted freshly baked goods so she has everyone covered. You can view their entire selection of liquor cakes on their website. Online ordering is available and is quick and simple. Or, stop in to try one of their new liquor gelato flavors.